We are a game loving family. We are also a book loving family so I jumped at the opportunity to express extremely high interest in reviewing the game, Notable Novelists of the 20th Century: a Card Game for Book Lovers. This game arrived when my parents-in-law were here for a visit. My father-in-law is a retired school librarian. In other words, he’s book nut, just like his son and grandchildren. I handed him the cards. He looked through them and then my daughter looked through them and then my husband looked through them. They began to talk about 20th century authors. We hadn’t even played the game yet and already really cool discussions about books and authors were happening at my house. This was exactly what I wanted to happen. At first my 13 year old and 15 year old were not too sure about this game. “Mom, it looks like Go Fish.” “Mom, it looks boring.” I asked them to please just play one time with us. They loved the game. They asked to play it again and again during our staycation! The game is not boring and it is fun! Learning how to play and playing are easy. Full instructions are included on a card with the game but you can also read about how to play on the website. You can also find a list of all 18 novelists and a bit of information about the game. It is similar to in style to the children’s game of go fish in that you ask other players for cards in their hands. It is different in that you must collect a three card set for one author: an author card that gives the name birth year with birth city and death year, a bio card which lists an interesting fact about the writer, and a library card which lists 3 of the novelist’s works. We played nearly every day the week the grandparents were here. That meant that there were 7 of us playing. We quickly ran out of the “draw” pile but we continued to play until all the matches were found. We all had a great time, including my father-in-law who would rather not play games. My Thoughts: We loved this game. Playing with a different numbers of people can alter the dynamics. It was almost harder with fewer people because so many more of the cards were still in the draw pile. I like this game because in addition to learning about 18 novelists, the player develops memory skills and must develop some strategy to obtain the cards. This is a game that will be played over and over again at our house. I’m planning to have some book loving friends over to play the game with just grown ups. If you are a book loving person who enjoys games, I think you would enjoy this one! Click on the banner below to read what other Crew Members had to say about Notable Novelists. Some crew members reviewed PlayPlay Games you can find their reviews also by clicking on the banner. All information is correct and accurate as of the date of this review. Disclaimer: As a TOS Crew member, I received this game free of charge to review. I am required to write a review but I am not required to write a positive review. This review contains my and/or my daughters’ honest opinion with, hopefully, enough detail as to why I/ we liked or did not like a product so that my readers can make an informed decision. I received no compensation. My family loves history. The girls often dig through old clothes (and some not so old) to find “costumes” for playing. Tailorbear is especially fond of creating “hoop skirts” by layering bath robes and fleece throws. It never occurred to me that we could make a hoop skirt for her. It also never occurred to me that we could make other period piece historical costumes. Apparently my daughters are not the only ones who like to dress up in historical costumes. Amy Puetz, herself a homeschool graduate and lover of history, has written a book, Costumes with Character. At Amy’s website, Golden Prairie Press, you can read a bit more about Amy or check out some of the other books she has written such as: Ten Girls from History and Uncover Exciting History. This 72 page full color book covers 11 time periods in American History. Using a “simple dress” you sew collars, bonnets, and other accessories to complete each period history costume. In addition to sewing instructions, the book also includes a history section for each time period focusing on fashion history. The book also includes recommend resources (both books and movies) for learning more about each of the historical time frames. Costumes with Character is available as an e-book (PDF format) for $21.95 or print format for $37.00. You can view a sample on the website. Turtlegirl (age 15) and Tailorbear (age 13) wanted to try this product. Both of them love dressing up and both of them love history. Turtlegirl was particularly interested in the Sailor Costume and Tailorbear loves the hoop skirts from the Civil War Era. Unfortunately, the girls do not possess the necessary sewing skills at this time. The girls picked out a couple of pieces to try. We used this as a learning experience for sewing. First you must wash and then iron your material before cutting out the pieces. It's also a good idea to “finish the edges” to reduce fraying at the hem. Turtlegirl ironing the old white sheet she will use. Turtlegirl beginning to zigzag stitch the raw edge. Turtlegirl did not have a “simple dress” so she followed the book suggestion of using a long sleeve top with a skirt. She really wants to make the sailor costume. The actual sailor collar and pieces are too difficult for her at this time so she used the “Another Idea” option for the Sailor collar. In the picture below she models it. We all love the Elegant Dress from the Young Republic era and thought it would be great to try. We already had a skirt that we could use for an underskirt and we found these piece of ruffle trim that looked perfect for making some make shift lacy cuffs. BooBear made the skirt a few years ago but the instructions she used are nearly identical to what is in the book. The girls pinned the skirt up from memory and I noticed that they pinned the sides. It should be pinned in the front and not at the sides, but she still had fun! My Bottom Line: I found this book extremely frustrating to use as a PDF. I am not an accomplished seamstress and I found it difficult to keep scrolling through the instructions. Perhaps if I had a print book that I could flip back and forth I would not have been as intimidated with the sewing. I love the idea of the book: use one simple dress as the base and add pieces to create historical period costumes. I also found it frustrating that for “young adults” it is a “one size fits all”. A chart is included for adjusting the patterns for younger (smaller) girls but there are no instructions on how to make it larger. (I can look at the chart and deduce that if the reduction is by 6%, that perhaps if I can increase in increments of 6% I can make it larger but it is not even suggested!) For some of the pieces, such as cuffs and bonnets, this is not an issue but for items such as the vest it could pose a problem. My 13 year old will not be able to use any of the vest type pieces as patterned because the “age 16” pattern is too small. The book says the the sewing is “easy” and the “step by step instructions are clear” however, they were not easy or clear for us. I think for those with sewing experience this might be clear and easy to use. I would recommend this book in print format and recommend it for those who can sew well and are interested in historical period costumes. The Schoolhouse Review Crew reviewed four different e-books from Golden Prairie Press. Visit the Schoolhouse Review Crew Blog to read more about reviews of Costumes with Character read reviews of the other 3 e-books. A few months earlier, Honeybear had come back from a 9 month deployment to the “giant sandbox in the Middle East.” We had taken a long weekend to drive along the coast. Here the girls are standing on rocks somewhere along the WA pacific ocean coastline. The years quickly roll by but the girls still seem to love standing on rocks. This next picture was taken just a few weeks ago on a day trip up to the Strait of Juan de Fuca. It was very windy that day. I’ll finish this up with an individual picture of each of the three “big” girls from oldest to youngest. Think Back Thursday is hosted by Debbie over at Debbie’s Digest. Come check out the Rock posts and add one yourself! Music or rather hymns are an important part of Christian tradition. They are rich and full of theology and praise for God. The hymns may be different in different Christian traditions but the idea of teaching theology and worshiping God through music during the service is the same. Recently my family had the opportunity to read an e-book (PDF)version of Mr. Pipes and the British Hymn Makers from Christian Liberty Press. This book is the first book in the series. In this book, the author, Douglas Bond, focuses on British Hymn writers such as Isaac Watts, Charles Wesley, and John Newton as well as others including Scottish hymn writers and women hymn writers. ABOUT THE BOOK: Two teenagers, Annie and her brother Drew, are spending the summer in a small English Village. They meet Mr. Pipes who plays the organ for the local Anglican church. He tells stories about different British hymn writers and shares a hymn or two from each composer. He also teaches them about “the value of traditional worship and praise.” The book is 242 pages long and available in e-book (PDF) format ($8.79) as well as a physical format ($9.89). There are 4 volumes in the Mr. Pipes series. Mr. Pipes and the British Hymn makers is the first book. A set of all 4 titles is also available. How I would have used the book: Christian Liberty Press recommends this book for grades 7-10. I had my 8th grader, 10th grader and 12th grader read the book on their own. ALL of them said “Mom, I really think this book is meant for younger children.” I agree with my daughters. I think this book would be a great read aloud book for children in early elementary and a read alone book for upper elementary maybe middle school if middle school is 5-7th grades. If I’d had this book when my children were in grades K, 2nd and 4th, I would have read the book aloud and I would have made a point to play the hymns for my children and maybe even look them up in our hymnal. And if we happened to sing one of those hymns at church I would have leaned over and whispered to them about what we read. I would have been very comfortable with the book back then as we were protestant (reformed Baptist) and so much of what Mr. Pipes talks about seems to be from a reformed perspective. We are Orthodox Christians now so I have not read the book aloud to Supergirl who is developmentally at a 1st grade level. I did not want to confuse her with the different theological view points. She loves these hymns and, because I was reading the book, we listened to several together. Amazing Grace is one of her favorites. Maybe because I sang it to each of my girls as a lullaby when they were babies and toddlers. I wish the book focused more on the stories of the hymn writers and less on explaining theology. While author Douglas Bond and I agree on the beauty of music and the place of hymns in Christian worship, we disagree on which tradition. We do not see eye to eye on matters of theology. So while I enjoyed reading about the lives of these hymn writers, I did not care for the theology lessons espoused through the character of Mr. Pipes. I would not recommend this book for Orthodox Christians as the hymns are protestant and the theology from a reformed point of view. I’m hesitant to recommend it for Catholic Christians or other Christians whose worship would be considered High Liturgy. I do however, think this book would be a welcome addition to the home school of families who use these hymns in their worship services. These hymn writers love God and their stories are fascinating. The hymns are beautiful. Though my theology is different today I still love Amazing Grace by John Newton and And Can It Be by Charles Wesley and I enjoyed reading about those two hymns in this book. Click on the banner below to read what other Crew Members had to say about Mr. Pipes and the British Hymn Makers. All information is correct and accurate as of the date of this review. Disclaimer: As a TOS Crew member, I received this PDF format e-book free of charge to review. I am required to write a review but I am not required to write a positive review. This review contains my and/or my daughters’ honest opinion with, hopefully, enough detail as to why I/ we liked or did not like a product so that my readers can make an informed decision. I received no compensation. One of my favorite publishing companies, Apologia, has produced a new worldview curriculum. This workbook style program is based on the book I Don’t Have Enough Faith to Be an Atheist (IDHEF) by Norman L. Geisler and Frank Turek. Mr. Turek, coauthored, along with the late Chuck Winter, this high school level program. The curriculum bears the same name: I Don’t Have Enough Faith to Be an Atheist. I said “based on” but really this workbook is a companion to the IDHEF book. You will need the book in order to complete the assignments in the workbook. Each lesson begins with a section called “Before Starting This Chapter” which tells the student exactly what pages/chapters to read from the IDHEF book. BOOK ~ “The section takes you deeper into the specific issues covered in each chapter.” This section also contains knowledge and comprehension questions. How We’re Using the Curriculum: Turtlegirl, age 15 and starting 10th grade is the primary user of the workbook. The “How to use this book” section of the curriculum suggests taking 2 to 3 weeks to read through the chapter of the book and work through the questions in the workbook. At first I thought 2 to 3 weeks was a slow pace but there is so much material to process, and explore that we are moving at an average of 2 1/2 weeks per chapter. Turtlegirl and I both read the appointed pages/chapter then she works through most of the questions. We get together, with usually a sibling or two hanging around, and discuss the questions in the “TOOK” section. I had started out with having my 13 year old 8th grader read the book and choose a few questions from the workbook to prepare for discussion but after the Introduction, I’ve just let her hang out as part of the discussion time. The material in the book is a bit too mature for her at this time. For now she is getting plenty from just the discussion of the topics. My Thoughts: I love walking into the room and hearing my 13 year old and my 15 year old discussing the validity of this logical argument or whether or not that premise is true. I think it is essential that every person know what they believe and why. I want my daughter to be sure, in her own mind, of the evidence for the faith we, her parents, strive to pass on to her. I think this curriculum published by Apologia is a great way to process the information from the book. I love the extra information that the workbook includes such as brief biographical sketches of scientists such as Edwin Hubble and Carl Sagan or an apologist such as C.S. Lewis. I think the workbook is well organized and nicely laid out. I struggled with reading the introduction and the first 3 chapters of the book. I didn’t disagree with the conclusions but I didn’t always agree with the examples the authors used. Sometimes I questioned the premise of their statements. For example, I agree that the universe has a beginning. I agree that it was created and therefore is not eternal. I really think stating it as “if the universe were eternal, it would have died by now,” is a poor way to prove that the universe is not eternal. Of course by definition if the universe was dead or had no energy left it would not be eternal but telling me it still has energy doesn’t prove to me that it is not eternal. Since they were using the Second Law of Thermodynamics as the proof, I think it would have been better to give examples that show the how the universe is using up energy. But despite the rocky beginning, I’ve been sucked into the book and find it fascinating. I’ve been reading ahead for myself and I intend to re-read the chapters as needed for discussion with Turtlegirl and Tailorbear. I’ve suggested to my 17 year old daughter and to my husband that I think they would both benefit from this book. Plus, I just want to get them in on the discussion! Click on the banner below to read what other Crew Members had to say about Apologia’s I Don’t Have Enough Faith to Be an Atheist Curriculum. All information is correct and accurate as of the date of this review. Disclaimer: As a TOS Crew member, I received both the Curriculum and the book I Don’t Have to Be an Atheist free of charge to review. I am required to write a review but I am not required to write a positive review. This review contains my and/or my daughters’ honest opinion with, hopefully, enough detail as to why I/ we liked or did not like a product so that my readers can make an informed decision. I received no compensation. No Homeschool Budget? God Provides! Marcy, one of the Review Crew Leaders, hosts the Schoolhouse Review Crew Blog Cruise each week. 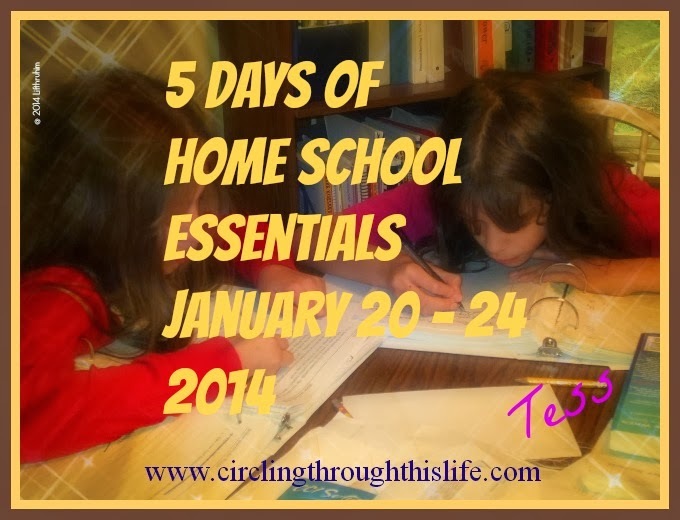 This week she reminded us that the topic is “Budget Friendly Homeschooling.” I didn’t think this was a topic that applied to me. For many many years I had a very LARGE amount of money allocated to spend on home education. I didn’t really ever worry or think about how to cut corners or make “budget friendly” purchases. But in the last few years, I’ve not had that luxury. With my husband taking a significant pay cut a few years ago, the economy going south and some financial mistakes we’ve made, well, there just isn’t any money for home education. Seriously, my home school “budget” for the 2012-2013 school year is “whatever God provides.” Yes, I have a $0 budget. But lest you, dear reader, think this is a whiny post about not having all the money I want to buy all the curriculum and supplies that I want, let me share with you some of the amazing ways God has been providing for our home school. Nearly everything we are using for school has been supplied either by the Schoolhouse Review Crew (home school side of things and the new Molly Crew side of things) or through friends sharing their materials with us or the public library. My daughter is a senior this year. Our (that would be hers and mine!) plans for this final year include a year of English, a half year of Psychology, a half year of civics, a half year of sociology. She’d like to do another year of science and another year of math as well as finish up some business courses and her music courses. Oh yes, she also needs a credit of physical education. Oh I guess I do have some money for education. I have budgeted money for BooBear to take another year of private music lessons. Those lessons are part of the music credits she has been earning. We’ve been doing piano lessons now for so many years that I don’t really consider it as part of our homeschool budget. The lessons are a category in their own right <grin>. But the blessings and provision do not stop with the oldest. The twins are very far apart developmentally and academically yet both of them are using curriculum we received for review purposes. Turtlegirl has started her sophomore year of high school. She’ll be getting back to the fabulous Algebra 2 course from Pearson. She’s utilizing Zane education to create an Art History/Art Appreciation course and to supplement her biology studies. She’ll also pick back up and dig deeper her studies of the British Middle Ages with the Heritage History curriculum we reviewed. Supergirl gets to study Spanish. For reasons beyond my comprehension, she’s been wanting to learn Spanish. She asks for her videos to be played in Spanish. God must have understood her, because we’ve been provided with a 6 month subscription to SpeekeeTV (review coming!). She loves it! Her math has been provided through both the review crew and a generous friend who is letting me borrow some curriculum. She also has a writing curriculum (Write Start Primary) and a reading program (Reading Kingdom ) both provided by the crew. Tailorbear has not been left out. Her math program has been provided by Schoolhouse Review Crew (do you see a pattern here?) She also will be doing some geography and other social studies using a couple of unit study products that, you guessed it, were provided by the Review Crew. I am close to tears as I type this because I am just blown away by how rich and full including “basic core subjects” and “fun supplements” God has provided. I know that prayer is an absolutely necessary component. It’s not that God doesn’t already know what we need, or even the desires of my children’s heart (Spanish??!!) but when I pray, I have to humble myself before the King of Kings. I have to acknowledge that there is a need that I can’t meet but He can. The amazing part is He goes above and beyond! I am so grateful for the review crew (and the nameless friend who has let me borrow so much this year!) God has certainly used the Crew to meet our needs in ways I could never have guessed and He has provided (on more than one occasion) a product for a need I didn’t even know we had (did I mention Spanish?). It is possible to home school with a zero dollar budget, but only because God the Father meets our every need! “Budget Friendly Homeschooling” will be live on Tuesday 8/21. In the meantime you can enjoy past Blog Cruise Topics. If you are like me, you might have children preparing to take the SAT or the PSAT. Vocabulary is worth up to 150 points on the SAT test. Helping my daughters do the best that they can on these tests is a high priority for me so I jumped at the chance to try this online vocabulary program called Vocab Videos. Vocab Videos is a series of “Episodes” with each episode focusing on 20 vocabulary words. Each word is presented in a short video clip and the whole episode is about 10 minutes in length. You can read more about their videos here. Vocab Videos has subscription plans for individual student subscriptions as well as subscription plans for educators. Student plans start at $24.99 for a 6 month subscription. A 12 month subscription is also available. Under the plans for Educators, there is a 1 month free trial option. All Educator plans are for 12 months of unlimited access and include a teacher dashboard. Educator plans start at 20 students for $74.99. The Educator plans are a great deal for homeschooling families who need 3 or more student accounts and would like 12 months of access. Because this is a secular program, when words are defined and discussed in the videos, you might hear discussion of dating, and sometimes the use of, "Shut up" or "Oh my God." Many of the Episodes (such as Two’s Company) parody popular TV shows. From the Website: “Parodies of popular TV shows like Lost, The Office, 24, and Gossip Girl connect students to the material, presenting vocabulary to them in a context they can relate to and enjoy. The Quizzes ~ I love that there is a quiz for each episode and that the quizzes utilizes different types of questions. The quizzes also provide feedback, telling the student what they answered and what the correct answer is. The Teacher Dashboard ~ I love that I can access all the learning tools for myself through the teacher dashboard as well as check on the progress of my student. I can view their quiz scores and view the actual answers to the worksheets. The Worksheets ~ On the worksheets student must define the word and then use it in one or more sentences. These worksheets are intended to help them remember the words. My Thoughts: I recommend reading the “How It Works” page as well as the “Our Story” page. I consider this a high school level program and I would not use it with a student younger than 8th grade. This is a program that my students have enjoyed and not once did I hear “do I have to?” Instead, I had children who willingly, without being told, logged into their student accounts daily and spent roughly 15 minutes a day learning vocabulary. Click on the banner below to read what other Crew Members had to say about Vocab Videos. All information is correct and accurate as of the date of this review. Disclaimer: As a TOS Crew member, I received a Small Educator Account (up to 20 students) with unlimited access for 12 months to review. I am required to write a review but I am not required to write a positive review. This review contains my and/or my daughters’ honest opinion with, hopefully, enough detail as to why I/ we liked or did not like a product so that my readers can make an informed decision. I received no compensation.